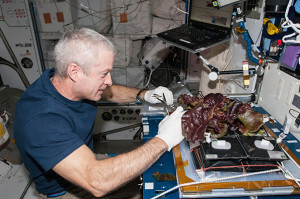 NASA astronaut Steve Swanson harvests red romaine lettuce on the space station, the first fresh produce grown and eaten in space. The Veggie project, which is ongoing, uses Florikan’s controlled-release fertilizer to nourish the growing plants. Astronaut ice cream may be an exotic treat for kids, but for real space explorers, a fresh, crunchy salad could sometimes really hit the spot. And the ability to grow food in space will prove crucial for longer-duration voyages envisioned over the next decades. Growing plants in a spaceship, and one day on another planet, is a complicated endeavor. But one tool making it easier is a specially formulated fertilizer, developed years ago with NASA help, which has also drawn huge accolades from growers on Earth. Florikan founder Ed Rosenthal did not expect to help grow vegetables in space when he first began developing his award-winning fertilizer. He just saw an opportunity to improve how nutrients are delivered to plants. “I wondered if I could separate each nutrient based on its relative solubility and when it was needed by the plant,” he says. Then he would coat each with different polymers with different-sized pores to control the rate at which water reached the nutrient. Traditional fertilizers are often applied monthly — requiring huge amounts of fertilizer and a large workforce to apply it. But Rosenthal knew that much of that fertilizer was never actually absorbed by the plant. 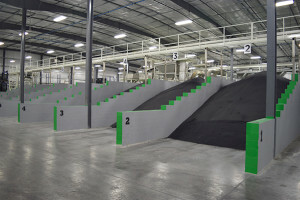 Here, large batches of the Florikan fertilizers await quality control testing before being bagged up and sold. The high-tech process to coat the fertilizer in a porous polymer to control how quickly the nutrients dissolve in water was perfected with help from NASA. The NASA consultants recommended a new approach: coat the nutrients in a single, impervious polymer, and then treat them with a chemical to open up pores to the exact specifications required. By 2008, Florikan had two patents, one for staged nutrient-release fertilizer and another for the polymer coating it was using. The key advantage to Florikan’s staged nutrient-release fertilizer is that growers need to use far less of it, far less often than traditional formulations. That significantly reduces the harmful environmental impact of nutrient runoff, and it also means less labor and lower costs for growers. One of Florikan’s early formulations — Florikan Nutricote 18-6-8, for its ratio of nitrogen, phosphate, and potassium — was designed specifically for ornamental plants. The company has since expanded its offerings, creating special blends for citrus groves and, more recently, sugar cane. NASA has a long history of transferring technology to the private sector. 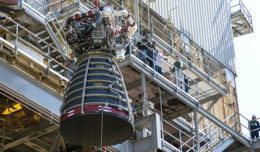 Each year, the agency’s Spinoff publication profiles about 50 NASA technologies that have transformed into commercial products and services, demonstrating the wider benefits of America’s investment in its space program. Spinoff is a publication of the Technology Transfer Program in NASA’s Space Technology Mission Directorate. To learn more about this NASA spinoff, read the original article from Spinoff 2017. 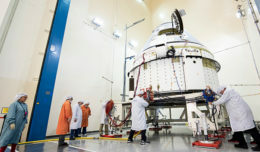 For more information on how NASA is bringing its technology down to Earth, visit http://technology.nasa.gov.